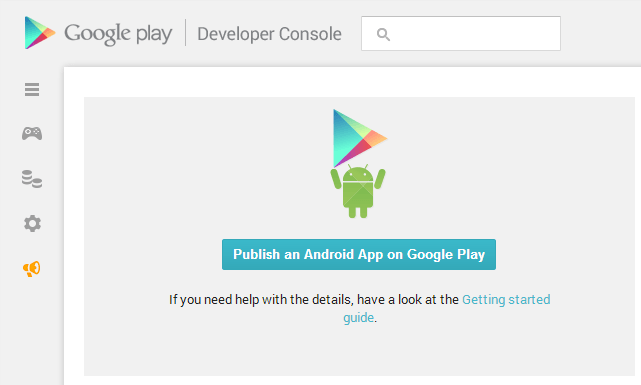 How to Publish an App on the Google Play Store? It is common knowledge that app making is a very lucrative business now because of the importance that the Internet holds and coupled with that, the Android’s popularity is also on the rise. Both of these factors have combined to make app developers and app creators a very important part of everyday life because life does not move without Android applications mostly. If you have come to this post you are already past the decision-making phase where you would have to choose the app store that you wanted to publish your app in but as you know and as do we all, the Google Play Store is the best platform that any app creator can give his/her app. Well, it is established now that you have come here to know the basics of publishing an app and that is what I will exactly point out to you. The first step involves the Google Play Developer Console which is completely for developers and users manage the apps that they publish. Contrary to popular opinion, and entry fee of $25 is charged so that you can register yourself on the Google Play Store as a developer. This is the lowest price that is charged by an app store because if you want to publish an app on the iTunes store you have to register yourself for $99 for a year while Microsoft charges anything between $10 and $99 depending on some conditions. There are some countries which distribute app while others do not have the authority to do so and therefore it has to be from some country like the US, the UK, Canada, or some other country which is allowed. As soon as you pay up the money and if you are in a country where it is possible to publish an app on the Google Play Store then the next thing that you need to do is fill in your developer name and after that, the process of verifying your identity will be undertaken by Google and it can take up to 2 working days. Now you may want to check out the policies and the code of ethics that Google has created for all app developers. Remember that you have to follow this code very carefully and even if there is one mistake, your app might not be published. If you have already created your app and you have completed the above processes and also the verification stage is over, then it is time for you to upload your app but before that, you have to provide a maturity rating. Maturity rating is similar to the adult content rating of a movie and if there are some graphics or content that you think is suitable for adults rather than children then you should mark your app suitably. The next thing on the list that you will have to keep a note of is that you can only upload an app that is 50 MB or less and if it exceeds that size then it has to be created using the Android apk expansion file API. This feature enables developers to create bigger files with the catch that the extra content has to be downloaded later through the app after it is installed. The graphics and the description along with the thumbnail picture are all very important for promoting an app because, without it, you are bound to languish at the bottom of every popularity chart. Make sure that your app looks vibrant and the videos are also instructional so as to provide users a look-in as to what they might be getting if they install your app. Then you can decide whether you want some money for the app or whether you want to distribute it for free. The most important thing that you have to remember in this whole process, however, is not coloring your app or whatever, but instead mainly focusing on making the app function flawlessly and efficiently. So now you know how to publish an app on the Google Play Store and if you are an app developer, then my suggestion is that you should start making apps and publishing them on the Play Store and you might hit the jackpot. Just remember that you have to stay within the guidelines and everything should work out fine for you. You should also use the developers’ console that Google provides to its developers and monitor it from time to time to know how your apps are performing. Copyright text 2016 by playstoredownloads.org.